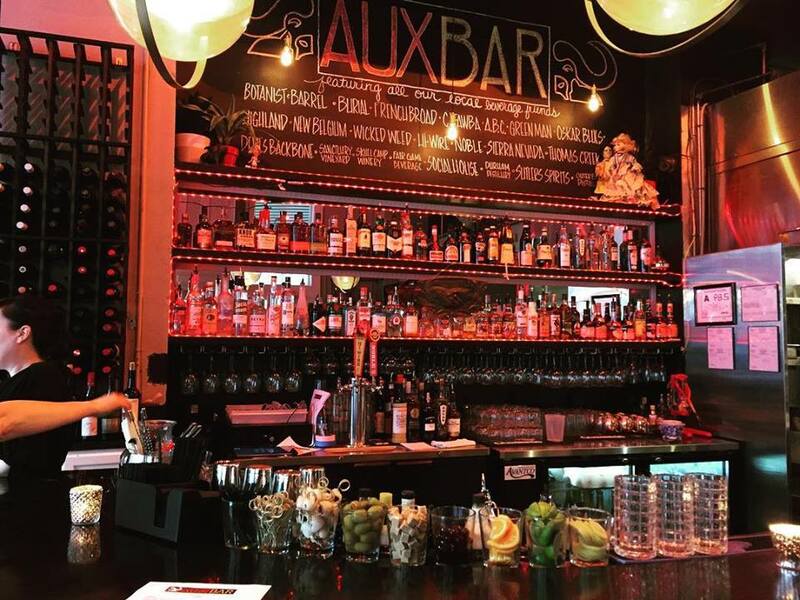 Dine with us at AUX Bar- the new home of The Blind Pig Supper Club at 68 North Lexington Avenue. We are open 7 days a week from 11am until late. Menu services include lunch, midday, dinner and late night. We also serve a tasty brunch on Saturday and Sunday! We offer an ecclectic menu based on season forward contemporary American and Southern cuisine as well as comfort classics. Aux Bar offers an outstanding bar menu with delicious cocktails, a stellar wine list and affordable late night drinks for all. Join us on the patio overlooking historic Lexington Park and the former entrance to Vincent's Ear which is now the new catering headquarters of BPSC. Reservations are available online as well as our website. Walk ins are always welcome! See more at auxbar.com.